What is a Podcast? And How Do You Find Them? In its most simple form, a podcast is the Internet's version of talk radio, with added perks such as being able to listen on your own time rather than being forced to tune in at a certain day and time. 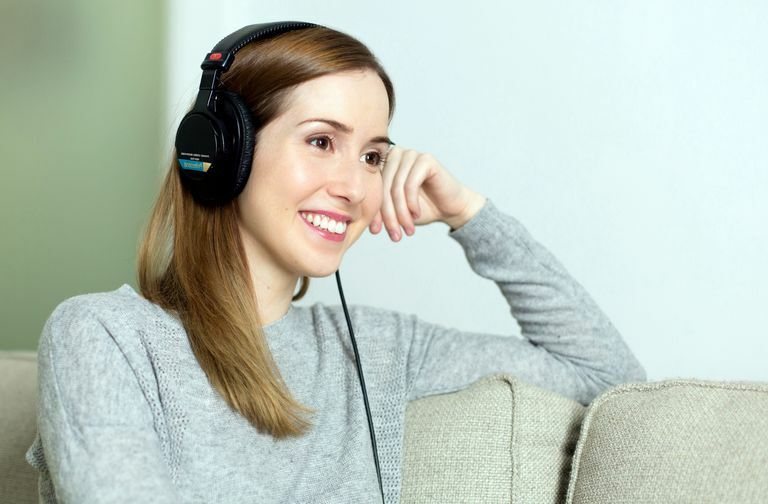 But while comparing them to talk radio is an easy podcast definition, podcasts are also quite different from what you hear on the radio in the same way that YouTube videos are different than what you watch on television. A podcast is a series of 'episodes' that are stored in the same type of audio files we use to store music on our laptop or smartphone. Similar to a television or talk radio show, a podcast is generally centered around a theme such as politics, sports, entertainment, gaming, etc. Each 'episode' usually revolves around a subject within that theme. You can listen to individual episodes or you can subscribe to the podcast, which is usually free. For example, Pod Saves America is a popular new podcast with a progressive take on political news. It is hosted by Jon Favreau, Tommy Vietor, Jon Lovett, and Daniel Pfeiffer, and the show frequently has expert guests giving their opinion. Episodes tend to center on something political in nature such as healthcare or tax reform. On the totally different end of the spectrum is Critical Role, a podcast hosted by Geek and Sundry that features voice actors going through a Dungeons and Dragons campaign. Each episode is an adventure within that campaign, with longer adventures broken into multiple episodes. The term "podcast" comes from combining "iPod" and "broadcast". The iPod's ability to store music files (and thus any audio file) led to its use as an audio broadcast (podcast) player in the early days of the podcast. But a podcast is defined by the ability to subscribe to the audio files rather than a particular platform. Podcasts are available on all platforms including Windows, Mac, iPhone, iPad and Android. What Makes a Podcast Different Than Talk Radio? The obvious difference between a podcast an a talk radio series is the on-demand availability of the podcasts. However, many popular talk radio shows such as This American Life release a podcast version of the show to reach the listeners that miss the regular showing. So how else is a podcast different? In many ways, a podcast is the long tail version of radio. The "long tail" concept revolves the grouping of smaller audiences being equal to capturing a single, larger audience. For example, you can have one book that sells ten thousand copies or a thousand books that sell ten copies. The end result is ten thousand books sold. A physical bookstore will stick to the popular book because it doesn't have room to store a thousand books with such a small audience, but an Internet retailer like Amazon is quite happy to use print-on-demand technology to sell those thousand books. This same thing occurs with podcasts. There is only so much bandwidth available for radio broadcasts, so talk shows need to appeal to a broad audience. The same restriction doesn't apply to a podcast being distributed over the Internet, so you'll see subjects with more limited appeal and podcasts that don't have the same type of budget. This is one of the biggest benefits of podcasts. If you have interests, even if those interests are very niche, there's probably a podcast covering it. And better, you can listen at home, in the car or on the go because podcasts can travel with you in your smartphone. Now that we know what a podcast is, how do we find them? There are thousands of free podcasts online available through various hosting services. These services allow you to subscribe to a particular podcast and download it as each new episode becomes available, even alerting you to new episodes if you have the app on your phone. We'll take a look at some of the most popular platforms. On the iPhone or iPad... If you own an iPhone or iPad, you already have an app dedicated to podcasts on the device. The Podcasts app, which you can find easily by using Spotlight Search, will let you search for different podcasts, stream specific episodes and subscribe to the podcast. There are also a number of great Podcast apps available for the iPhone and iPad. On an Android device... CastBox and Podcast Go are two of the leading free podcast apps for Android. Podcast Go has a simple interface that will get you up and listening very quickly, while CastBox is better for discovering new podcasts. Both make a fine first dip into the podcast pond. On a PC or Mac... Apple's iTunes software has an entire section devoted to podcasts similar to the sections on music and movies. Even better, it will link up with any podcasts you have subscribed to on your iPad or iPhone, so you can move from device to device with ease. A vodcast simply adds video into the mix. Sometimes, this is simply a video of the podcast, while at other times it replaces the podcast. You can subscribe to vodcasts in the same way as a podcast. In the iPhone's podcast app, there is a separate section for vodcasts while Podcast Go on Android lists them side-by-side with podcasts. Which Podcasts Should You Be Listening To? The one thing we can't tell you is which podcast is perfect for you. There are thousands of free podcast downloads for almost any interest. Here's what we recommend if you love Game of Thrones. ESPN is your source if you love sports? Check this out if you are interested in history. Read all about the best Podcasts everyone is listening to right now.